There is more than a single symbol of eternity in feng shui. You can use many of these eternity symbols together; use them separately or in combination with other types of symbols. 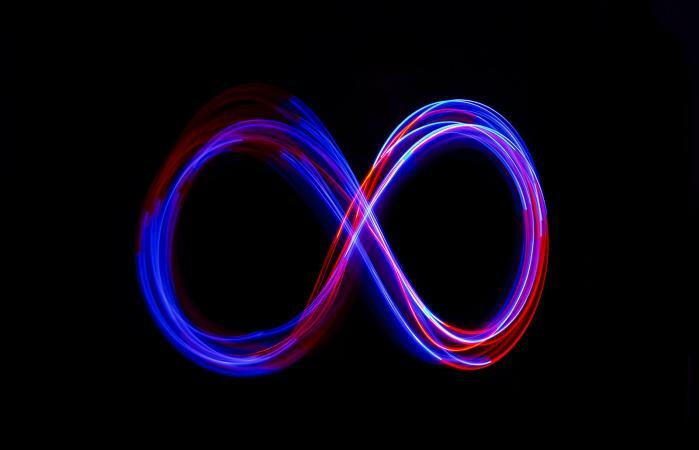 The infinity symbol (figure eight) is not just a Chinese infinity symbol; it is universally recognized as a symbol for eternity. The two circles the eight forms have no ending and no beginning and continue in its pattern forever. In feng shui, the infinity knot is special and is used to create what's called the mystic knot. What Is the Chinese Symbol for Peace and Love? The mystic knot is probably the most well-known Chinese symbols for infinity in feng shui. It's also considered a good luck charm. The knot consists of six infinity knots tied together. The mystic knot symbolizes unending luck, prosperity, and abundance. 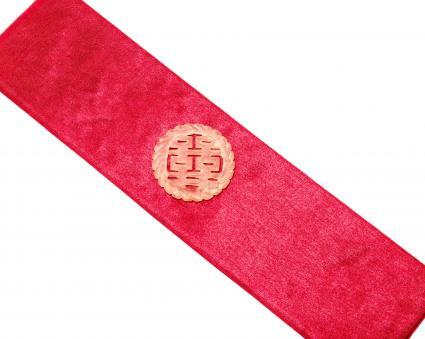 The knot is usually made out of silk, and the most auspicious color to use is red. Use it in conjunction with other symbols to ensure the energy they attract will be never ending. 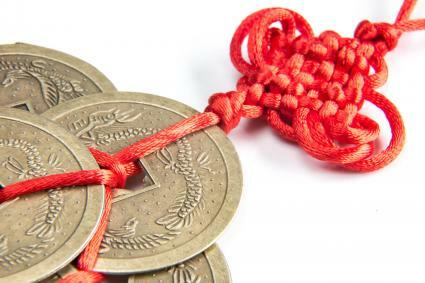 For example, a red mystic knot is often used to suspend six coins to ensure never ending wealth. It can also be used to suspend a love symbol to draw the energy of eternal love. Suspend a good luck charm from a mystic knot, and you'll draw unending good luck. This symbol for eternity is said to increase happiness and love double-fold and is given to couples to ensure eternal happiness and love because theirs will then be an undying love. The symbol is a double XI, and it dates back to the story of two lovers whose journey brought them back together. A young woman tested her lover by giving him half of a couplet (poem) and asked him to finish it. If he truly loved her, he would be able to complete the poem. The story goes that the young man was a student and as part of his final exam, which the Emperor administrated, the youth was given the last half of a poem and challenged to complete it by supplying the first part of the poem. To the young man's amazement, it was the same poem his beloved had given to him, and he was able to recite the first half of the poem to the Emperor. The ruler was so impressed with the man's wisdom, he made him one of his ministers. Now that the young man had the last half of the poem, he returned to his lover and recited the poem to her, proving his love for all eternity. His lover wrote the symbol XI to symbolize the first half of the poem and her lover repeated the symbol to signify his half. In China, single women carry this eternity symbol in their purses or place it in their marriage corners to attract eternal love. You will find many good luck and symbols for eternity carved out of jade, the stone of heaven. Heaven, of course, is seen as being a place of eternity. The significance of jade is the Chinese belief it is the physical link between the spirit world and the earthly existence. The Chinese revere jade embodying the yin and yang of dimensions, heaven, and earth. 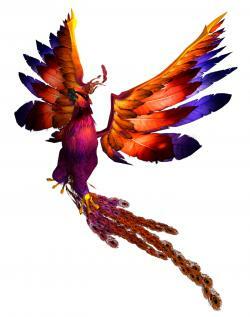 The phoenix is an ancient Chinese sacred animal, along with the turtle and unicorn. The phoenix, however is the symbol of immortality. The bird dies in flames but rises out of its ashes. There are a few animal and mineral symbols of longevity and eternity. The tortoise is another symbol of eternity or longevity. Ancient stories say the tortoise lives 3,000 years, making it an icon of longevity and eternity. In feng shui applications, people use the tortoise for enhancing certain areas of their homes. A tortoise in the money sector of your home aids your income earning potential and helps maintain a never-ending flow of money into your life. The crane is a symbol of longevity. Many believe the mythological bird lived for a 1,000 years. If you place this symbol in your health sector, according to Chinese and feng shui philosophy, you'll enjoy a lifetime of good health. Chinese cinnabar is a very common form of mercury ore and is often treated with lacquer tree sap to achieve an end result, lacquerware. The Chinese have used cinnabar since 200 BC. Several coats of lacquer are necessary in order to make the cinnabar thick enough to carve. Various symbols and icons, such as the phoenix or the dragon, are favorite subjects for carving out of cinnabar. The color of cinnabar is also the color of eternity and life. The dragon and phoenix are paired together as the perfection of yin and yang. This coupling has become the symbol of the ideal union of lovers for an eternal life together bonded through love and forever happy. These lesser-known symbols can also represent eternity. The peach has long been a symbol of eternity as well as love, health, and marriage, the things that make the prospect of living forever so attractive. The statue of Na Cha, the Great Fighter of Injustice, has grown into a symbol for a happy long marriage for eternity. The symbol of the Tua Peh Kong couple is one of a healthy, prosperous and happy relationship that lasts for eternity. While number 8 is the sign of infinity, the number 9 is the symbol of eternity. If you're looking for an eternity symbol, you have many choices. You can combine some symbols with others to enhance a particular area of your life that you need the energy of eternity to touch.